september 2018 | 426 blz. 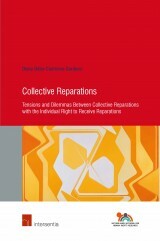 This book presents the first study on collective reparations. It aims to shed light on the legal framework, content and scope of collective reparations, and to the relationship between collective reparations and the individual right to reparations.